It’s so amazing how wonderful technology is, but it can be a pain as well. Of course, I am still working on the site, but I will go ahead and do the final giveaway. Just always continue to check back for new updates and new lesson ideas as well. The final giveaway for tonight is a gift card to most FACS teachers favorite place. 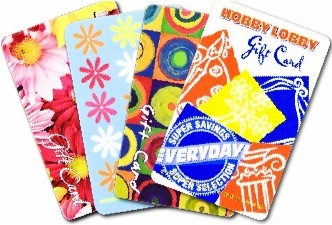 We are giving away a $50 gift card to HOBBY LOBBY!!! To qualify, ask a question, make a suggestion or request for improvement of the website and/or open house (besides avoiding a technical overload :D)! Good night and have a wonderful Friday!!!! What has been your favorite or most successful lesson taught that was shared on this site? I think it would be great to have a spot where all fcs teachers can post lesson plans or ideas. We could build a great lot of ideas! Love this idea ! I follow you on FB so that is how I found out about your open house. Your website is wonderful especially for me being a new teacher. I have found some awesome information that will enhance my teaching experience. I always tell other FACS teachers about this website. I am always looking for good classroom management ideas. What are some you have found most effective? Thanks for all you do with this site, I often refer here for ideas! I would like to see a place where teachers can share lesson plans, teaching strategies, and classroom management ideas. A section on classroom organization would be very helpful too. I would love to see pictures of classrooms and how they are arranged and set up!